The 10th Anniversary in London was a huge celebration. Watch interviews with the creative team and celebrities, and see glimpses of the momentous performance. The Disneyland Band has been entertaining guests since the park opened on July 17, 1955. Over the past 27 years, the band has performed annual music education concerts for 40,000 second graders from throughout Orange County. The 45-minute performances introduce musical instruments, music styles and proper concert manners. The concerts, which are based on California education standards, take place in a number of venues including the Orange County Performing Arts Center. At a star-studded event highlighted by a rare gathering of all eight Disney Princess characters, Princess Tiana was warmly and regally welcomed as the ninth member of the beloved Disney Princess Royal Court during a magical crowning ceremony at the historic New York Palace in Manhattan. Celebrity guests included, Anika Noni Rose (voice of Tiana), Michael Leon Wooley (voice of Louis the alligator), Jennifer Cody (voice of Charlotte) plus Tina Fey, Melissa Joan Hart, Audra McDonald, Kelly Rutherford, Nigel Barker and more. Tiana will now forever be celebrated and recognized as a Disney Princess across The Walt Disney Company and will be included in Disney Princess products alongside the other princess characters starting this July. The special event also celebrated the arrival of The Princess and the Frog on Disney Blu-Ray. ORLANDO, Fla., Mar. 11, 2010 – With help from a world-famous mouse, dozens of eager children and a shower of confetti, officials opened the doors to the welcoming, new lobby of the Walt Disney Pavilion at Florida Hospital for Children and unveiled the first physical milestone of the hospital’s innovative model of pediatric health. The entrance serves as a gateway to the remainder of the children’s hospital where the smallest patients from around the world will receive superior treatment and care from renowned physicians. Inspired by the soothing environment of nature, the lobby features beloved and nurturing Disney characters such as Timon and Pumbaa from “The Lion King,” Flounder and Sebastian from “The Little Mermaid” and Rutt and Tuke from “Brother Bear.” Walt Disney Imagineers designed the space with these thoughtfully chosen characters to complement the hospital’s healing environment where young patients are supported by caring, medical professionals, along with family and friends. The lobby of the Walt Disney Pavilion at Florida Hospital for Children features several interactive activities and experiences that children of all ages can enjoy to ultimately enhance patient experience. For example, kids can fish for virtual salmon, step into a safari to touch and illuminate markings on a cave wall, generate jungle sounds on musical step pads, swat chirping bugs that glow during an engaging game that tests memory skills or play in a magical world of bubbles and dancing creatures from under the sea. As part of a part of a $10 million commitment by Walt Disney World Resort and Disney Worldwide Outreach, the lobby represents the first in a series of significant milestones for the Walt Disney Pavilion at Florida Hospital for Children. Construction and renovations are currently underway and will continue throughout the year to complete units and patient rooms. By early 2011, the addition including seven stories and more than 200 dedicated pediatric beds, will open featuring concepts, colors, sounds and themes inspired by the lobby design. While patients, families and visitors will enter through the lobby, the same calming and reassuring atmosphere will be reflected throughout the entire Walt Disney Pavilion at Florida Hospital for Children facility. Florida Hospital is in the midst of a fundraising campaign to help complete the development of the Walt Disney Pavilion at Florida Hospital for Children. The Walt Disney Pavilion at Florida Hospital for Children is a full-service facility served by more than 70 pediatric specialists, one of the largest panels of pediatric experts in Central Florida and a highly trained pediatric team of more than 600 employees. This unique children’s hospital provides patients with private, family-centered pediatric rooms, a dedicated pediatric emergency department and an Advanced Center for Pediatric Surgery. The Walt Disney Pavilion at Florida Hospital for Children delivers a complete range of pediatric health services for younger patients including advanced surgery, oncology, neurosurgery, cardiology and transplant services; full-service pediatrics; and an innovative health and obesity platform. The recent expansion includes a seven-floor dedicated entrance, three-story lobby, and when completed the Walt Disney Pavilion at Florida Hospital for Children will have a total of more than 200 pediatric beds. Video: Sherman Brothers Honored with Window on Main Street, U.S.A.
Theyve written some of the most memorable songs in Disney theme park and motion picture history, and on March 11, 2010, the Academy Award-winning composers of the music from Its a Small World and The Enchanted Tiki Room, as well as Mary Poppins, will receive the highest honor that the Disneyland Resort bestows. The Sherman brothers, Richard M. Sherman and Robert B. Sherman, will receive a tribute window on Main Street, U.S.A.
What Do You Do When it’s Raining at Disneyland ? LAKE BUENA VISTA, Fla., March 1, 2010 – Downtown Disney, the 120-acre entertainment-shopping-dining complex at Walt Disney World Resort, will welcome several additions as part of its overall revitalization plan. In the coming months, the district will welcome two new stores, a quick-service restaurant and 3D technology to the AMC Pleasure Island 24 theater. After its success at the Downtown Disney District in Disneyland in California, RIDEMAKERZ will open a new retail entertainment experience on the Westside of Downtown Disney for a limited engagement. This store will integrate full-sized cars and a supercharged interactive experience that lets guests build, customize and trick out their very own radio-controlled vehicles. Kids of all ages will be able to satisfy their need for speed with over 649 million ways to create a mean machine. RIDEMAKERZ will open March 25 through fall 2010. D Street, a new apparel store where urban inspired product “intersects” with a Disney creative edge will also open on the West Side and showcase a mix of products for both men and women. Building on the existing popularity of Trend-D at the Marketplace, D-Street will include edgy apparel, pop culture novelties, Vinylmation figures and collectibles, artwork, handbags, accessories, jewelry and more. Opening in April, the store will feature a raw, unfinished industrial look and provide a great venue to showcase Disney art created by local artists. AMC Entertainment is currently upgrading auditorium one to be the first Enhanced Theater Experience (ETX) in the United States. The ETX auditorium will include a 20 percent larger, floor-to-ceiling screen, 3D technology, 12 channel audio and digital projection that delivers higher resolution that HD. AMC will debut the ETX auditorium in time for the premier of Alice in Wonderland in 3D on March 5. Opening this fall at Downtown Disney’s Marketplace will be an international Latin chicken quick-service restaurant - Pollo Campero. This new restaurant concept will offer Disney guests savory combinations of freshly prepared Campero Latin chicken, flavorful side dishes such as yuca fries and sweet plantains, and Latin drinks including horchata and tamarindo. For the more nutritious minded, they will offer chef-prepared salads, sandwiches and wraps, as well as sugar-free, gluten-free, low sodium, and organic offerings. 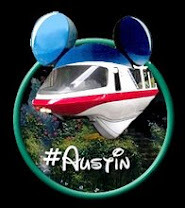 These new efforts come on the heels of the recent openings of Little Miss Matched, Paradiso 37, Trend-D, Characters in Flight, and Design-A-Tee. LAKE BUENA VISTA, Fla., March 1, 2010 -- Guests visiting Disney’s Animal Kingdom are getting a special treat along the Pangani Forest Exploration Trail where they can get a rare glimpse of a newborn gorilla born Feb. 19. The critically endangered western lowland gorilla, whose gender is still unknown, is doing well and has already become an integral member of the gorilla family group which includes first-time mother, Kashata, father Gino, and two other females, Benga and Hope. Since Kashata has been holding the baby close to her body, animal keepers have yet to determine the baby’s gender. Most gorilla mothers keep their offspring close for several months while the baby adjusts to the environment. In addition, gorilla babies typically nurse for approximately 12 months and may be weaned between the ages of four and five. The new baby, which is yet to be named, is the third gorilla born at Disney’s Animal Kingdom as part of the Association of Zoos and Aquariums (AZA) Species Survival Plan which manages genetic diversity among species through detailed records of individual animals. Disney’s Animal Kingdom also participates in AZA Species Survival Plans for several other animals, including elephants, cotton-top tamarins and okapi. The first gorilla birth occurred in 1997 before Disney’s Animal Kingdom opened, and the second baby arrived in 1999. · provides staff expertise for the creation of the first rescue and rehabilitation center in eastern Africa for orphaned gorillas to ultimately reintroduce them back into the wild. The Disney Worldwide Conservation Fund has provided funding to support this effort. · has developed an innovative training technique that enables team members to monitor the heart health of gorillas at Disney’s Animal Kingdom by administering cardiac ultrasound exams on fully alert gorillas. · Gorillas are the largest of all primates, standing 5-6 feet tall and weighing up to 450 lbs. · In the wild, western lowland gorillas are found in lowland tropical rainforests throughout western Africa. · Gorilla habitat in Africa is quickly disappearing because of coltan mining, a mineral used to make batteries for electronics. Recycling cell phones or laptops may contribute to gorilla conservation. LAKE BUENA VISTA, Fla., March 2, 2010 – Showing strength in numbers, nearly 6,000 Walt Disney World VoluntEARS teamed up over weekend to extend their reach into local classrooms via the Disney Bowl-A-Thon. Event organizers anticipate the two-day fundraising event, held Feb. 27-28 at bowling centers across Central Florida, raised approximately $250,000 for Junior Achievement of Central Florida and will ultimately benefit thousands of local children. Junior Achievement is a non-profit organization that goes into schools to provide age-appropriate economic education for children in grades K-12. Preparing young people for economically sound futures, Junior Achievement helps students understand fiscal responsibility by teaching lessons in how to earn, save, maintain a budget, manage credit and control their personal finances. “We are incredibly grateful to have Disney’s support in our mission to help local students become financially literate,” said Gary Blanchette, president of Junior Achievement of Central Florida. “Through the Bowl-A-Thon and the ongoing work of Disney VoluntEARS in local schools, Disney is ensuring our youth will become the successful leaders of tomorrow,” said Blanchette. Disney VoluntEARS stay active with Junior Achievement year around by donating their time and talent to teaching Junior Achievement curriculum in Orange and Osceola County schools. In 2009, Junior Achievement reached 94,911 students in more than 4,286 classrooms in Central Florida. Funds raised from the Disney Bowl-A-Thon will go toward Junior Achievement programming, educator kits and classroom supplies. “The Disney Bowl-A-Thon raises funds to create the educational materials that Junior Achievement volunteers use in the classroom to teach children about economics, finance, entrepreneurship and the free enterprise system,” said Jack Blitch, vice president of Walt Disney Imagineering and Junior Achievement board member. “Now more than ever, this education is vitally important, and Junior Achievement works to ensure students have access to it,” said Blitch. Walt Disney World Resort has been involved with Junior Achievement for more than 16 years and has raised more than $3.45 million for the organization.